I'm a fiction enthusiast who's currently scribbling his first novel. ‘The Death Strip’ available Free on Kindle. Evening all. 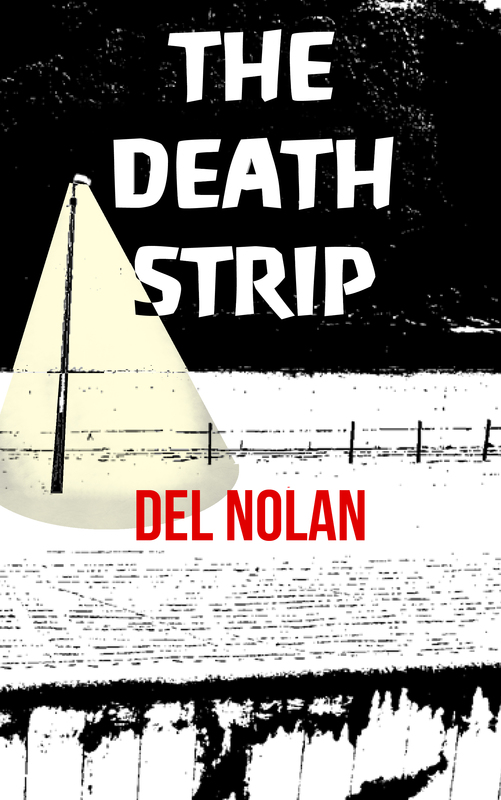 ‘The Death Strip’ is available to download for free on kindle over the next three days. Please feel free to check it out here. All I ask for in return is an honest review. Many thanks! The first Amazon review is in. 5 stars and articulate, generous words. Thank you so much T.T Thomas. You are an angel. From the opening lines to the final paragraph, this lean, taut story of suspense and choices made is memorable. Beautifully written, the style is at once sparse and filled to the brim with feelings and emotions. What does a man caught between two wrongs do to escape the torment of his choices? The author has achieved a masterful grasp of building a story with a pace and tension that keeps the reader on the edge while quietly building the characters’ inner conflicts to match the narrative action. It was a parallel universe of two men, two conflicts, two dramatic outcomes. The novella was as much neo-Noir as political thriller, and the author did justice to both genre. Highly recommended. Why not check it out and maybe download a sample here. Have a taste with no commitment and see what you think! The Death Strip is now available on Kindle. Yay! Here is the link. For anyone who hasn’t read chapter 1 you can check that out here. Alternatively, you can get a sample 15% on your kindle here. It has been so long since he spent a prolonged period of time in daylight, Ritter reckons he could see in the dark without a torch. His eyes have adapted; his pupil’s wide, gaping and thirsting for what little light bounces off the dirt. They cramp into their tiny tunnel, barely high enough to allow them to crawl on their hands and knees and not wide enough for an average sized man to turn around. Ritter is bigger than an average sized man. He’s probably bigger than anyone else who will try to squeeze through here. If he can fit, then almost anybody else can. He has to enter the tunnel head first and exit by shuffling backwards, reversing himself out. Initially, this wasn’t much of an inconvenience, but after a couple of days when the tunnel began to grow longer and deeper, stretching further into the earth, it got harder and harder to manoeuvre. He wriggles up the passage forty meters or so with an empty sack, fills it with the excavated earth and reverses, dragging the full sack the whole way back in front of him. Each of them would do this twenty to thirty times a night. It wasn’t long before they had worn holes in the toes of their boots from dragging their feet behind them. They have also developed scabs all over; on their elbows, wrists, hands and knees; even on their backs and on their bellies. They have grown used to these sores. Some of Ritter’s wounds have sealed and turned to hard skin and he can’t feel them anymore. He can’t be sure of how well supported their tunnel is. It could collapse at any time. The timber structures that they have pieced together to hold the ceiling up have been salvaged from anywhere. Timber for building is not a freely available commodity. Furniture was dismantled, timber floors pulled up, doors removed from their hinges and chopped into beams; some of it old, some of it wet, none of it completely trustworthy. They work in silence. They made sure of that, before they started. While they were digging, no-one would even whisper a word. They devised a number of hand signals and torch flashes that they would use for the very limited communications that they would require. A thumbs up means a bag is full enough to remove. A ‘T’ shape with their hands means a supportive timber frame is required. Flashing the torchlight repetitively means police. They thank God that they haven’t had to use that one yet and pray that they never will. They have worked non-stop for every hour of darkness, barely stopping to eat, hacking at the top of the tunnel with small picks and chisels and hammers and shovels, putting gravel into sacks and dragging it out to the end. Whilst one is digging, the other two remove the earth. They take it in turns. Ritter is moving the earth now. He works hard and fast. He hopes to be finished tonight but they are running out of darkness. It will be morning soon. He drags the heavy sack with him, moving about half a meter at a time, breathing the warm, oxygen-deprived air heavily, whilst trying to remain quiet. His muscles have grown strong from this repetitive motion; shimmy back and pull; shimmy back and pull; over and over until he can feel the fresh air rushing into his lungs. Ritter straightens his back when he is out of the car and has freedom to move once again. His bones crack as he does. He swings the sack over his shoulder and moves swiftly and silently across the street. He tries not to breath. He is afraid that he might not hear something or someone if he breathes too loud. He must remain alert, even at this late stage; especially at this late stage. He navigates down the empty streets in the dark automatically. Down one and over another until he is on a street lined with old four storey detached townhouses. He approaches the house nearest him at the end of the street and descends a set of steps into the cellar. He gives the door a gentle four beat knock. An old man answers the door, saying nothing, and Ritter walks past him, heaving now under the weight of the sack. This cellar is the residence of Bergen, his wife, his five children and his father; the old man that opened the door. Down here a family of eight reside in a two-roomed cellar and one of the rooms was all but full of the gravel Ritter and his companions had extracted from the ground. Ritter admires this family. They have given up a lot during these last four months. He moves past the lines of sleeping bodies stretched across the floor, their one bed now being used to prop up the tunnel. He empties the sack into the other room. The ground is piled high against the back wall and it slopes down and out towards the door. The more they dig, the more they cramp this family into a smaller and smaller space. Ritter notices small castles built from the gravel; the product of a day’s play. The sound of his tiptoeing and the pouring gravel used to wake the children regularly during the night. They’ve grown accustomed to it now. The older ones might just occasionally cough and turn in their sleep, the constant clouds of dust catching in their lungs. They sleep cosily in a line amongst the coats and the blankets and the single mattress that they all try to share. Bergen and his Dad will lay their heads down in the same spot in a couple of hours. It is for families like this and many more like them that Ritter risks his life. They are willing to give up what little they have, to try and escape the empty future that awaits them. It doesn’t take an educated man to see that it is not right. He nods to Bergen’s father as he leaves again, moving quickly down the streets and back to the car where he sits and hides and waits for Bergen to surface, who does so soon, and Ritter slides in head first and begins a rapid crawl up the tunnel. It’s much easier going forward with an empty load. When he reaches the top, he grabs Kuhlbert’s foot and tugs on it, the sign for a change. There is barely enough space for them to pass each other. Ritter lies flat on the ground and allows Kuhlbert to crawl backwards out over him. They have done it so often now it has become one swift movement. Now Ritter is digging. He beats up at an angle with the small pick-axe. He doesn’t have much room to swing it but he has learnt to swing it with less strength, faster and repetitively. He finds that this is the most efficient way. He lets the gravel fall underneath him gathering it into a small pile where Kuhlbert takes it from, scooping it into the sack. It continues like this, picking, picking and picking, then scraping it with the shovel, then picking, picking, picking again, all the while gasping at the air so as his brain might get a taste of oxygen, until he hears it. He hears the crumbling sound as the edges of the tunnel begin to fold back and the earth tumbles in on top of him, falling into his eyes and into his mouth. He spits and wipes his eyes on his sleeve. The cool night air comes down to greet him and he breathes it happily, elated by their achievement, and relieved that the tunnel didn’t collapse on top of them at some stage and kill them. It is a relief. He pulls his head up through the hole and takes a look at West Berlin from a perspective never before seen. The wall stands behind him. They had done their sums correctly. They have dug up at the right side of it but close enough to it to remain out of view of the watchtowers behind it. He reaches his arms over the edges of the hole and pulls himself out through it and stands on the grass at the other side. ‘I am a free man now!’ he thinks as he gazes up at the four meter wall. Not for long though. He must find something to cover the hole and return to the East. His freedom will have to wait. He and Kuhlbert pull some twigs from a nearby tree and dress them over the hole. They looked at it. In the dark it seemed inconspicuous enough. They don’t think anyone will find it anyway, unless they are looking for it, and nobody would be looking for it at this side of the wall. They returned down the hole and pulled the twigs behind them, back out over the newly erected entrance to the tunnel. They then climbed back down the tunnel head first for the first time. They got to the other end where Bergen was waiting with a look of worry on his face. ‘It’s done!’ Ritter replies, grinning broadly with his gravel-stained teeth. He wishes he had some way of marking their achievement; some way of celebrating. As he thinks this, Kuhlbert produces a box of cigarettes and offers them around. They smoke one each, quickly and in silence, smiling at each other, and when they are finished, they leave for their homes. They loaded into the lounge, laughing laddishly whilst listening to the LCD TV lament the last lapse attempt this team made, labelling it as a lazy, lifeless, losing effort that could have lost them the league. 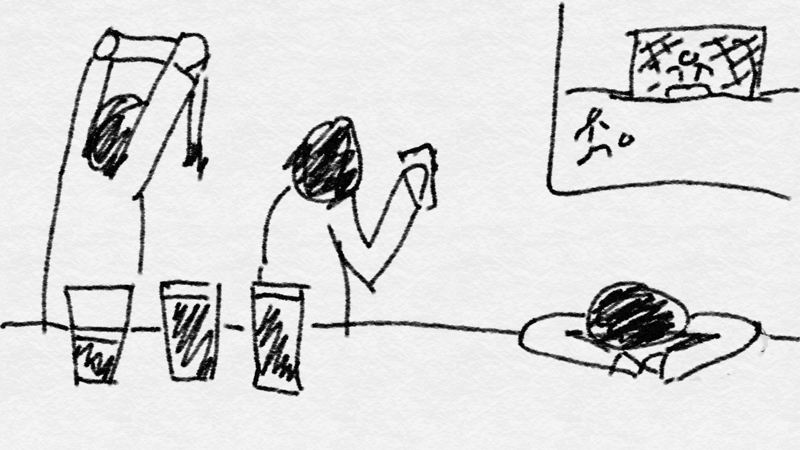 Patrick picks up his pint and pours a portion partially down before impulsively spraying other proud patrons in passionate reprisal of the pundit’s patronizing portrayal. Two halves of hastefully hammering goals behind a harmless keeper, has hastened their heroes to humbling their heretics. This is a little piece I wrote in one of my creative writing classes. We were asked to set it in a coffee shop in an airport and experiment with dialogue. I enjoyed the refuge that Camilo’s place provided. Refuge from the plague of tourists outside. Tourists documenting their lives with images. Images that lie. They’re just passing through. How are you this evening Mister Tourist? She is happy that you are out of the house. I will have to get blind to stay with her. 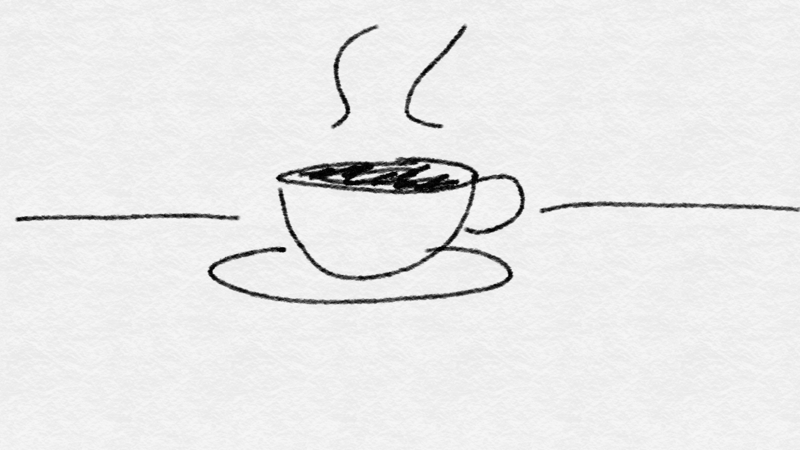 The coffee is good. It always is. Lorena makes it. “Mister Tourist, tell me, why do you stay in this country? Do you stay for the women? Do you stay for money? You can get more money at home. I think I know why you stay. Are you a criminal at home? There is no other reason. They should make a movie about you Mister Criminal Tourist. I will get my camera. You can play the part of Mister Criminal Tourist. The food is good. It always is. Lorena must have been born in a kitchen. I will see you tomorrow if I don’t win the lotto. Now I’m sitting in a cafe in an airport. It’s bright. The coffee is burnt, overpriced and served with a smile. A smile that some man in a suit has scared onto this girls face. “Sandra” her name tag reads. Sandra burns my toasted sandwich and serves it to me with a smile. When I’m finished she overcharges me with a smile. She takes my money with a smile, she thanks me with a smile and she wishes me a nice day with a smile. I pay for the memories, not the service. If this confessional could talk, Ritter thinks, the secrets it might divulge. It would be more than the usual sins that fuel the gossip of the people; stealing, coveting, and adultery. Shameful sexual acts whispered with embarrassment and fear in an attempt to save souls from damnation. No, this timber frame would reveal more than those petty misgivings. If the wrong people heard the secrets told here then many lives would be endangered. Dozens would be imprisoned, questioned, tortured and killed regardless of age or gender. He himself would be made an example of. He would become a tool for fear mongering. They would use him to illustrate the horrific punishments that befall the people who turn their backs on their country. They’ll call him a fascist, grind him through the propaganda machine until his fellow countrymen hate him and then they’ll execute him. They and Them; words used to describe some invisible, political, magical creature with the power to turn good into evil and evil into death. Silence is the only thing that can keep them safe from this monster. He tries not to think about that now but distraction requires great effort these days. He keeps reminding himself of the importance of remaining focused on the task. This helps, but as each hour passes the closer he gets to his goal, and the closer he gets to his goal, the more anxious he becomes. He coughs and wheezes into a gnarled, dirty hand as his lungs try to clear the dust and dirt that rattle around inside him. He leans into his coughing, struggling to breath between each rhythmic chug of air. He knew from the beginning the danger he was putting himself in. He knew all of the potential outcomes. The priest had outlined them for him too and both of them concluded that there would be no reward without risk. He knew it was the right thing to do. The humour is lost. It was funny a month ago to begin their meetings like that but now the joke has faded into routine as the stress that they both have accumulated makes it difficult to indulge laughter. ‘And how has your progress been in the last twenty four hours?’ comes the frail voice of the priest through the tiny holes in the screen that would normally offer an element of anonymity. The priest lets out a calm sigh, relieved by the positive news, slightly alleviating some of the stress. ‘You are a good man and you will find your reward in heaven.’ the priest’s words failing to capture the full extent of the love and appreciation he wishes to extend. ‘I don’t do it for rewards Father. I do it because it is right.’ his certainty and resolve still strong at this late stage of their mission. Ritter manages to smile at the wit of the old man but it gets lost in the dark. ‘We will not be ready to take people tonight, but the following night is when we will begin extracting. You can start alerting and organising the first few families. We should get moving as soon and as quickly as possible.’ Ritter says, keeping in line with the professional manner in which he has approached this project from the start. Ritter takes a moment to estimate. He cannot bring so many each time that they will be easily spotted by Volkspolizei or Stasi or anyone for that matter. He needs small, easy to control groups, but not too small. Bringing smaller groups will mean having to make more journeys, which will take longer, and the longer it takes them, the greater the possibility of being discovered. He uses this careful, meticulous approach to making decisions, considering the various scenarios, weighing the pros and the cons, calculating the risk. He knows that it is not an exact science. He wishes that it could be. His answer is as measured as possible. Ritter can hear the priests breathing get quicker as panic creeps in and he realises how close they are now. It was four months ago that they had first met to discuss this. The priest had crept up behind him after mass and gripped his elbow tight, whispering in his ear. This uncharacteristically strange behaviour from the old priest was an attempt to remain as discreet as possible. When Ritter met with him, he revealed the plan to him in the longest ‘confession’ he ever took. The frail old priest divulged his brainchild, although he wasn’t frail then. The stress of the last four months had taken its toll on him and aged him. He tells Ritter of how God has spoken to him and has provided him with a plan that they must execute to help his followers escape from the suppression of East Berlin, by burying under the wall to West Berlin and freedom. The priest had a vague outline of how everything should be done, how they would communicate and who would be selected to be involved. Discretion was paramount, so extreme caution had to be taken when selecting whom to include in this plot. Ritter protested when the priest excluded his friend, Ubel. They argued over it in loud whispers in the confessional. Ritter vouched for his character and guaranteed his silence but the priest would not have it. Ritter resigned to this argument and excluded his friend. God’s will shall be done in whatever way the priest decides and the priest decided that Ritter should lead a band of two others to go and excavate under the death strip, none of whom, including himself, had any experience of mining. It is hard to believe that they have come this far, from that first meeting when the priest released his dream, to now, with the tunnel nearly finished and the rest of the plan nearly ready for execution. They are excited and frightened. Freedom is hours away for dozens of them, maybe even hundreds depending on their success. Freedom for families, for friends, for the old and the young. Freedom for himself too. He longs for that. He regrets not going when the border closed. He didn’t predict back then that it would get this bad, with children hungry, roofs falling in on families and the autumn rain pouring in on their overcrowded homes. He never thought that it would get to this stage, where people would risk their lives to escape. He didn’t have the same foresight as hundreds of thousands of others that fled in droves before the wall was built. Maybe there was a reason for that. Maybe God had planned to keep him here so he could help others escape. Hopefully, he would join them soon. He would see faces that he hasn’t seen in years and shake their hands and rejoice in their communal freedom. He dreams of it constantly. It’s what drives him. Ritter tries to think if there’s anything else that he needs to say, His mind, he felt, was growing tired and sluggish. Four months of sleeping by day and mining by night had done that to him. He hasn’t taken a night off either. A night off could mean a day’s less evacuating, so they work on. He is tired though. All of them are. Him and his two co-miners. ‘Go home Ritter. Sleep. You will need to rest now more than ever.’ The priest tells him. Would you like to read more? Chapter 2 is here. If you liked this why not download a sample 15% and let me know what you think. It’s available on Kindle here.